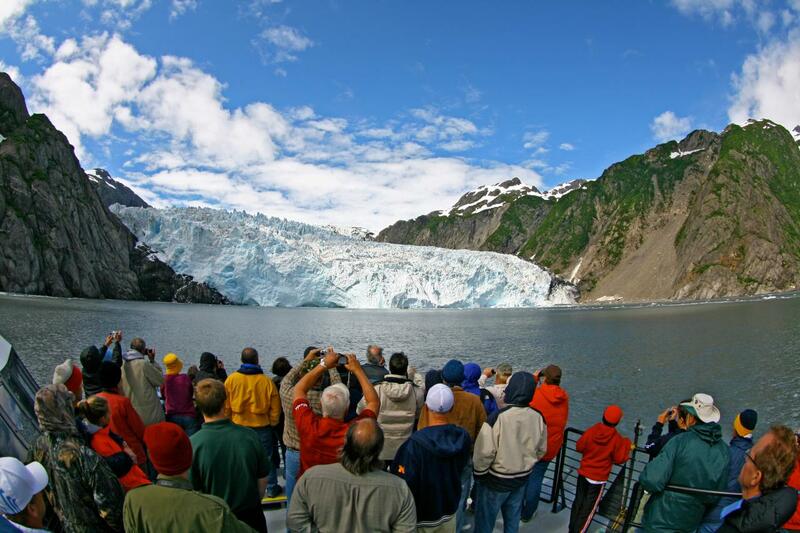 This 6 hour cruise explores the world of whales, wildlife, and glaciers found in Kenai Fjords National Park. The catamarans named Spirit of Adventure and Kenai Fjords 360 allow you to experience as much scenery, glaciers, and wildlife as possible within six hours. A uniformed National Park Ranger provides a full narration to your journey, pointing out the many spectacular sights and sharing information on the area's ecology, history, and geology. Watch the Holgate Glacier calve as chunks of glacial ice break off and crash into the water! 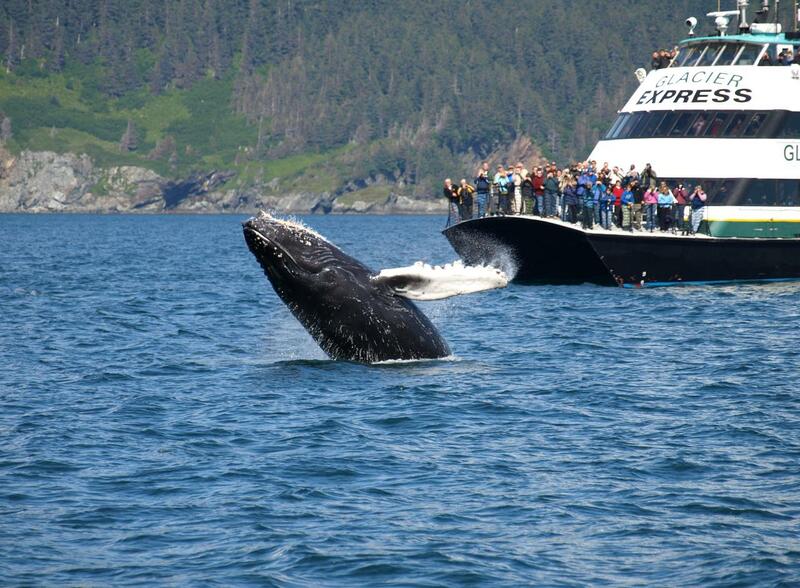 Highlights of the tour may include whales, sea otters, Steller sea lions, puffins, eagles, harbor seals, and seabirds. Alaska salmon and prime rib buffet available. This is a self-driving tour only.